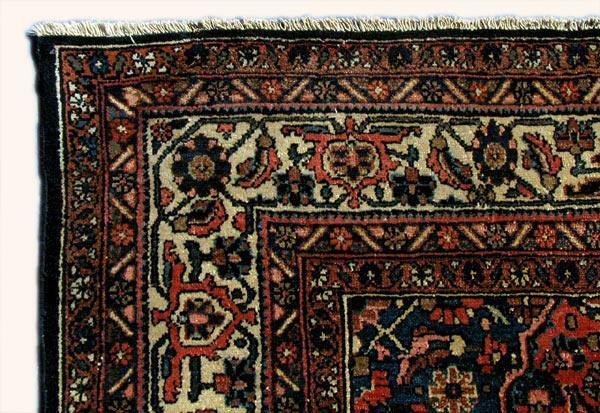 Once called Persia, modern-day Iran was where the first Persian rugs were created. The unique designs of Persian carpets date back more than 2,500 years to a time when all carpets were custom-made and hand-woven. 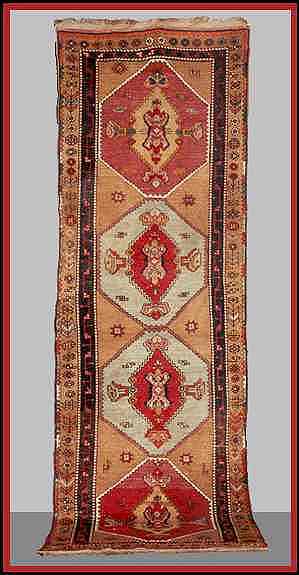 Rug patterns were specific to different tribes and no two villages had identical pieces. 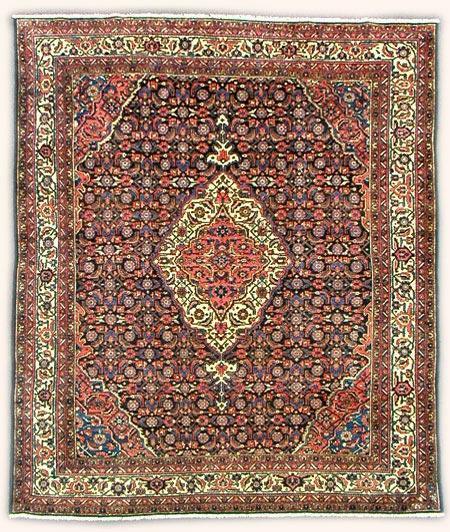 Originally, Persian villagers wove the rugs for use as floor mats, but over time, these items became meaningful symbols of nomadic cultures. Over 10,000 Iranian villages are identified as having been home to rug-weavers, with many irreplaceable carpets still in existence today. During the period when Persian rugs were developing into more than just a means of warming cold ground floors, Persian designers began integrating motifs into their art. 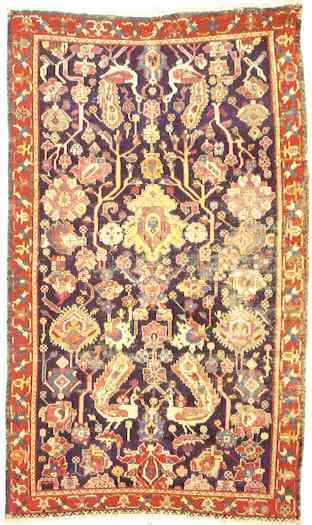 Carpets displayed different elements linked to each village's religions and traditions, as well as symbols from their valued history and geographical region. With various styles being used by a number of different Persian tribes, diverse themes were enshrined in the design of each individual rug. At the start of the Persian rug rush, nomads hand-wove carpets with wool from their own sheep and natural silk. 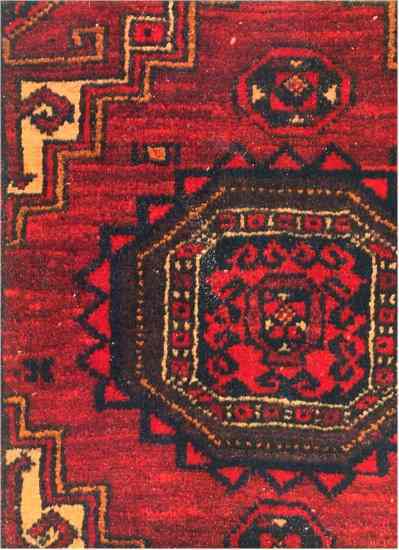 Dyes were all vegetable-based, and a great deal of time was given to the careful design of each carpet. These pieces became works of art, with patterns and motifs incorporated into the weaving. 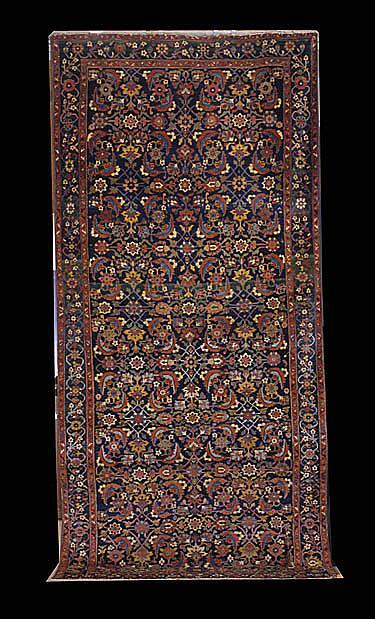 Thanks to the patience and concentration of Persian artists, rugs were durable, long-lasting, and colors seldom faded. 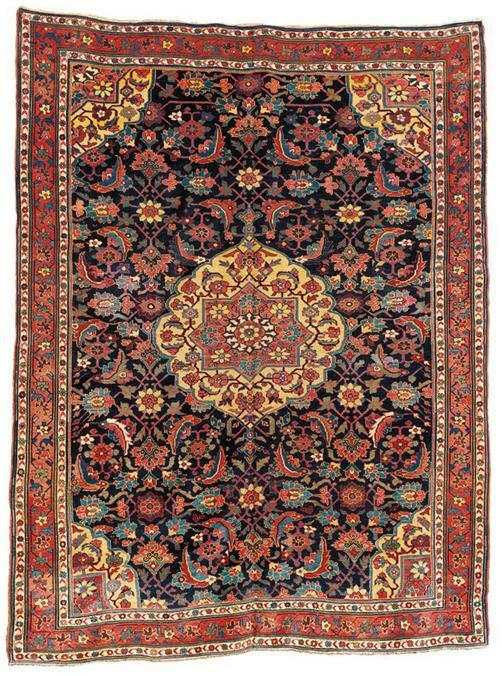 Common symbols used in Persian rugs were medallions, trees, geometric shapes, and flowers. 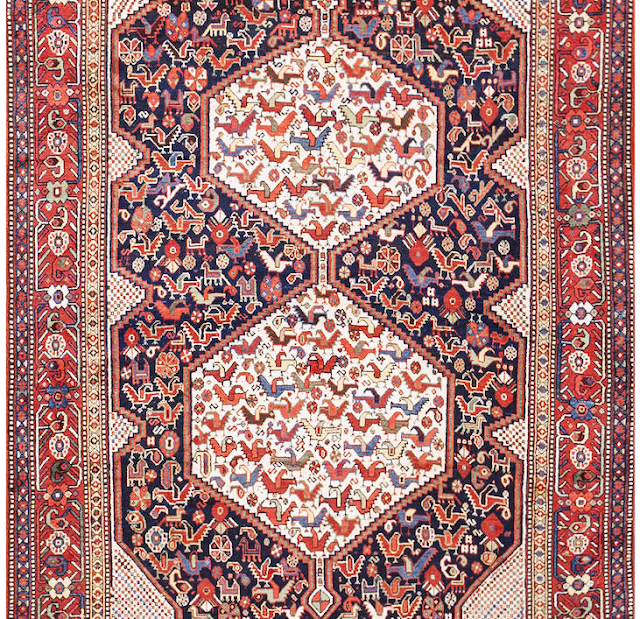 While carpet-weaving is still a common trade in Iran, production techniques have since changed. Modern Persian rugs are sometimes woven on power looms or made with synthetic materials and dyes, but many of the symbols and traditions of past ages are still part of the craft today. 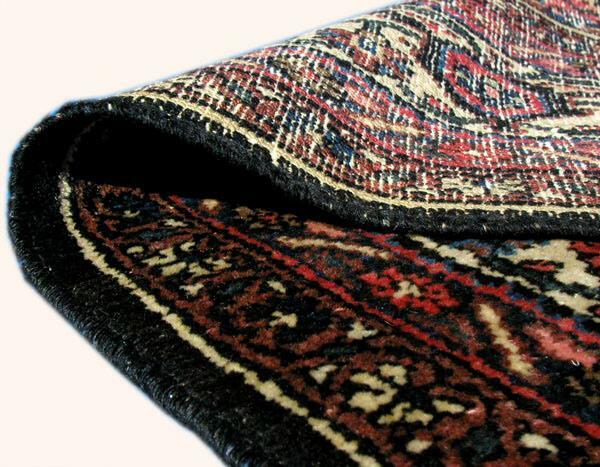 The true beauty of Persian Rugs derives from the people who weave Persian Rugs. When we talk about the Persian or Iranian (Irani) people we are not speaking of one broad ethnic group we are talking about many. While most Persians are Indo European a significant portion are Altaic/Turkic, Dravidian, Kartvelian/Georgian, and Afro-Asiatic. Currently the people of Iran speak 79 different languages and countless dialects. Much like the United States people from many backgrounds come together and make one people. One must not try to argue that certain people are true Persians and some are Azeris or Arabs, the people of Iran are the Persian people no matter what their milk tongue. 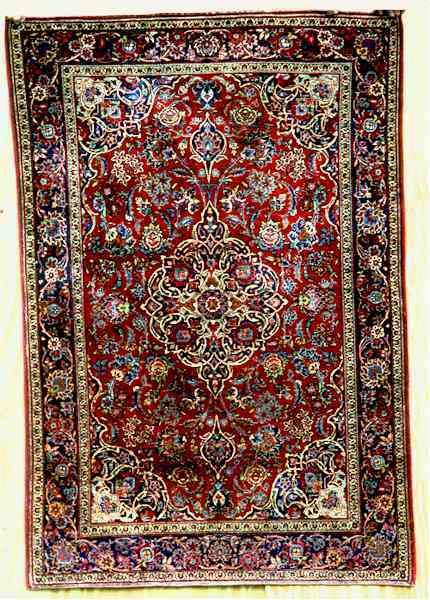 For instance the Persians who weave Tabriz Rugs are by and large the Southern Azeri speaking Persians who speak the Tabrizi dialect of Southern Azeri. 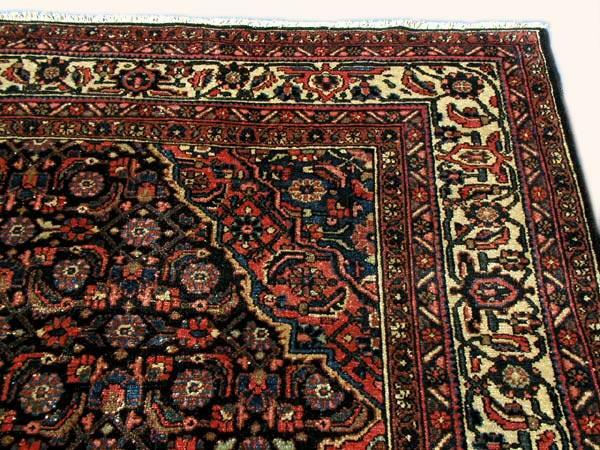 Thousands of towns and villages in Iran produce Persian rugs. Below are expanded sections that go into more depth on types of rugs. Also, if it was not woven in Iran, it is not a Persian Rug; it is a copy. To buy modern persian rugs, click here: persian style rugs for sale. Size: 15 ft. 3 in. x 11 ft. 10 in. Description: The piece has oxidized browns and a rewoven area in the main field. Fold wear features scattered repiling and rewoven end guard stripes. The piece is partially reselvaged. Size: 17 ft. 10 in. x 8 ft. 1 in. 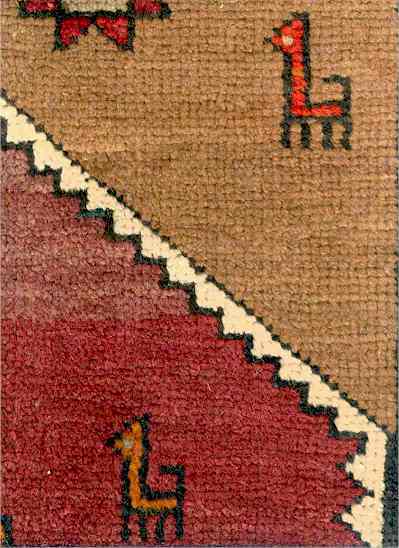 Description: The rug contains partially oxidized purple-browns and partial end guard borders. There's a rejoined slit, and the rug is reselvaged. There are two minor reweaves. Size: 16 ft. 6 in. x 3 ft. 5 in. The runner contains original end finishes, oxidized browns, and repaired slits. Size: 243 cm. x 162 cm. 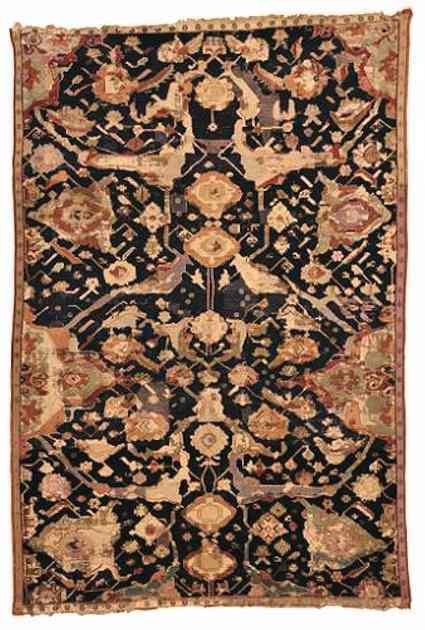 Description: The stylization and angularity of the design in the present lot together with the much more abstract floral representation link it to the carpets of the Caucasus and in particular the 'dragon' carpet group. 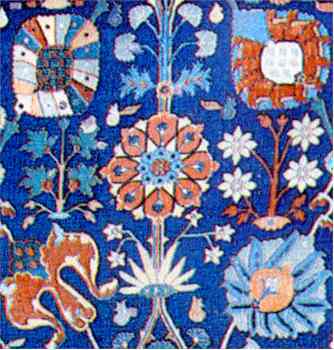 As in the Lichnowsky/Sylvester carpet the palmettes, floral motifs and arabesques are less curvilinear in their interpretation than Persian floral carpets of the same date. 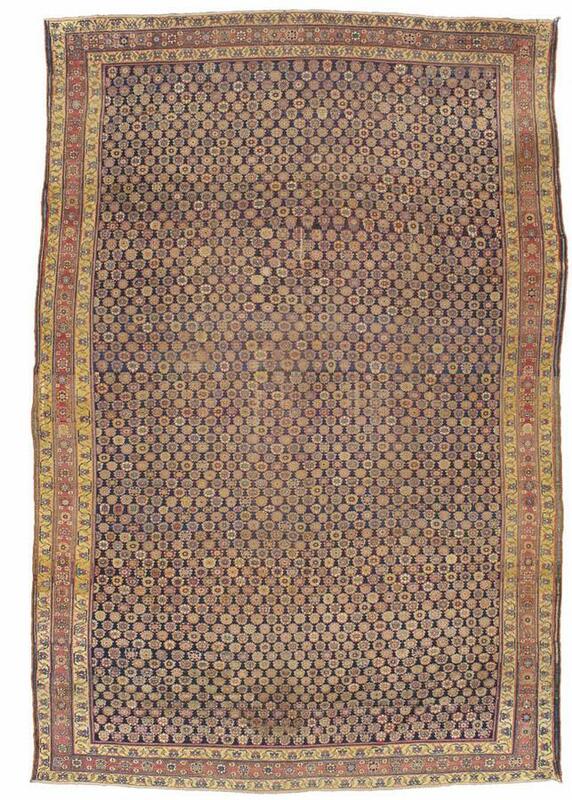 It is interesting to point out that although this carpet may appear to be a fragment on first inspection, it has remnants of the original end finishes and of the light blue kilim ends. Size: 3 ft. 9 in. x 11 ft. 7 in. Weft: 2 shot raspberry wool. Ends: Philippine half-hitch knots with 1 inch warp fringe. Selvages: 3 cord reinforced red wool. Further Notes: Very good condition, one part of selvage broken right side, repair made stabilized 2 slits which look like a Y turned on its side, about 7 inches long. Size: 17 ft. 8 in. x 6 ft. 8 in. 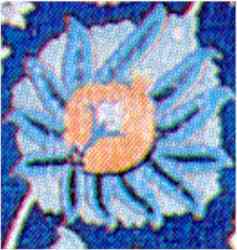 The royal blue field with three overlaid floral lattices comprises a wide variety of palmettes and flowerheads. Vases enclose flowering plants in a burgundy border of arabesques. Flowering vines wrap between golden yellow and ivory stripes. The rug is complete, with small and minor areas of old repair. Size: 20 ft. 2 in. x 13 ft. 8 in. Description: Overcast sides and ends, foldwear, and small reweaves. Circa 1880. Size: 7 ft. 1 in. x 4 ft. 3 in. 18th Century, Minor rewoven areas, loses to pile, sides partially reselvaged. Warp: cotton, Z4S natural white. Weft: cotton, Z4S natural white. Ends: Some white kilim, warp fringe. Colors: Sienna red, midnight blue, deep rose, peach, salmon, medium blue, peacock blue, aqua, ochre, chamois, mint, aubergine, white, seal brown. 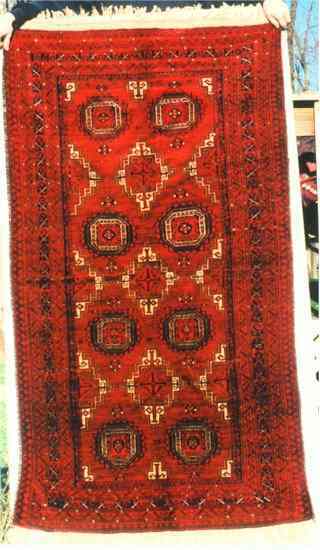 This is a very nice new Baluch from Khorasan Iran. The wool is new and lanolin rich. The knot count is higher than average for a Baluch. The quality is good. 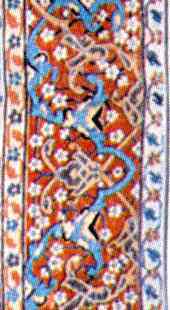 The design is borrowed from Turkmen weaving. 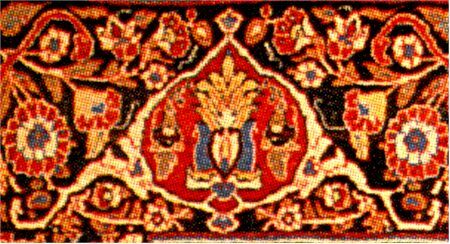 The main gul (medallion) is one we see in Salor, Saryk, and Tekke weaving. The minor Gul is not a particularly close copy of any particular type. After the Salor were defeated in their war with the Tekke in the early 19th century many Salor moved closer to the Baluch. It seems likely to me that this accounts for much of the design borrowing. Details: Baluch Rug, Khorasan Iran. Fourth quarter 20th century. This is a intact full pile rug in unused condition. Size: 4 ft. x 6 ft. 9 in. Weft: 2 ply cotton, gray. Ends: One row twining with 1 1/2 inch plain weave skirt and warp fringe. Selvages: four cord dark brown goat. As is the fashion nowadays there is a good bit of abrash in the wool. This is due to a variety of wool color. Size: 8 ft. 10 in. x 12 ft.
Notes: There are extensive repiled and rewoven areas, splits, sides and ends partially rewoven. There are glued and stitched patches on reverse. Size: 13 ft. 4 in. x 5 ft. 10 in.